Happy Halloween, good peoples! Sorry, I didn’t get the time to make a top 5 “Halloween-esque whatever in video games” list this time around. Hopefully I can make up for that in the future. 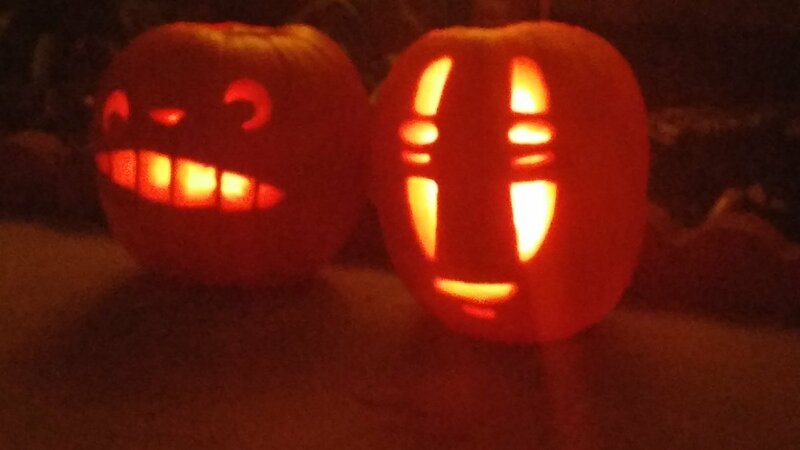 In the meantime, enjoy this picture of my Totoro and Noface Jack ‘O’ Lanterns. Yeah, Totoro’s eyes are totally uneven, but hey, I never claimed to be a pumpkin-carving expert. And practice makes perfect. Happy Halloween! Sorry again for the lack of a proper Halloween post, I’ll make up for it some way down the road.